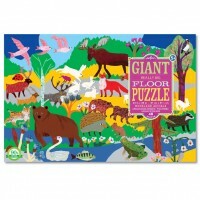 Meet new African animal friends and their babies at the waterhole as you assemble this preschool floor puzzle. 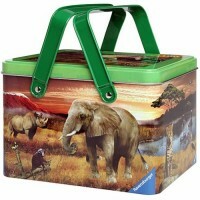 Meet new African animal friends at the waterhole! 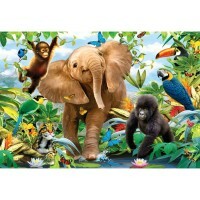 Waterhole Fun African Animals 24 pc Floor Puzzle is a new cute puzzle for preschool kids. 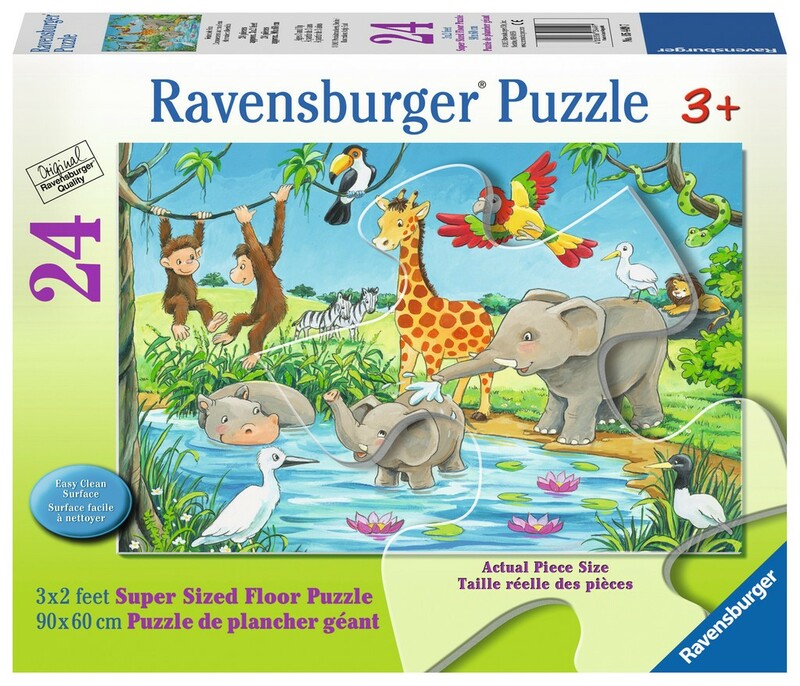 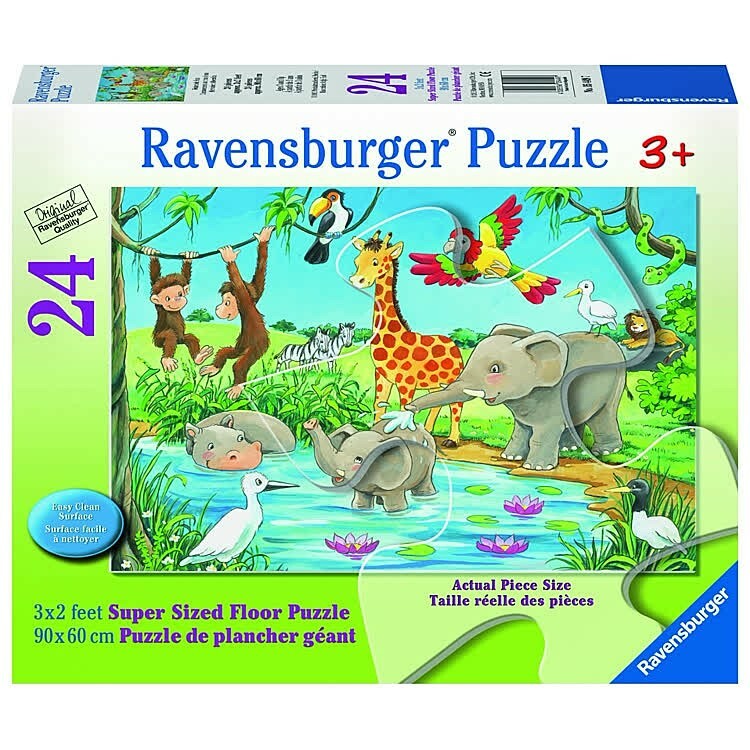 Sized perfectly for the little hands, made with Ravensburger's famous quality and sturdy cardboard, this giant floor puzzle helps kids develop language, dexterity and thinking skills. 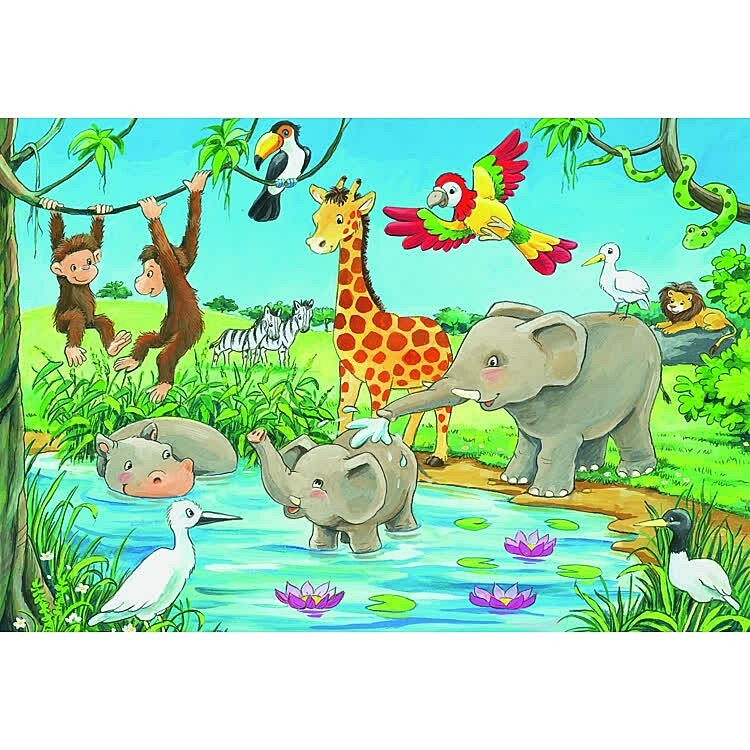 Looking at the adorable jungle animals, your child will identify their names, learn more about wild animals, make up stories about elephants, hippo, monkeys, giraffe, lion and other thirsty African animals at the waterhole. 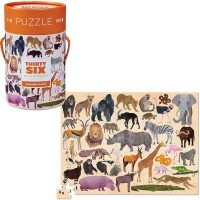 Each sturdy, easy to clean surface, cardboard piece from this Educational Toys Planet's puzzle is 9 x 7 inches, a perfect size for even the smallest hands to hold. 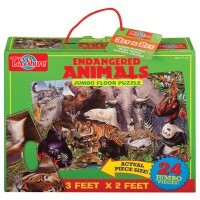 Finished Waterhole Fun African Animals 24 pc Floor Puzzle is 2 x 3 feet. 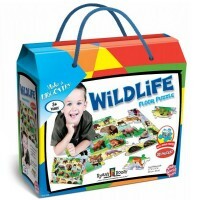 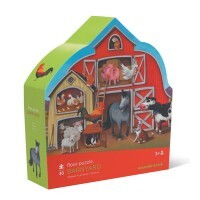 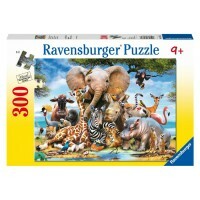 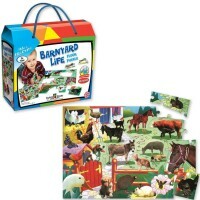 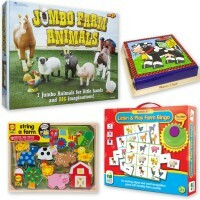 Write your own review of Waterhole Fun African Animals 24 pc Floor Puzzle.